iMazing lets you copy data to your iPhone or iPad, and also lets you export data, such as your photos, SMSs and iMessages, call history, and more. In most cases, you only need to export one type of data, but you can also export all types of data in one go with the Export All Data tool. This is especially useful for repair shops to perform data extraction and recovery in human readable formats. It is important to understand that exporting data is not equivalent to taking a backup. Exported data cannot be restored to the iOS device, and is exported in human readable formats, unencrypted. An iOS backup on the other hand can be easily restored, is generally encrypted, and isn't human readable, though files can be viewed and extracted from it by software like iMazing. Here's how you can export all the data from your iPhone and iPad. Install and launch iMazing, and connect your iPhone to your computer. In the Actions list, scroll down and click Export All Data. On the screen that displays, uncheck any types of data that you don't want to export. Click Export and choose a location for the data to be saved. If you have enabled Wi-Fi connection for that device, you’ll be able to use it without a wired connection, but it is strongly advised to connect via USB when exporting all data to speed things up. iMazing displays the types of data it can export from your iPhone or iPad. By default, all these data types are selected; you can uncheck any that you don't want to export, or uncheck all data types by clicking the checkbox next to Select All. You can then check one or more data types to export. Click Export and iMazing will let you choose where to save the exported data. Pick a folder you can access easily, and make sure you have enough free space on your computer. If there's a lot of data on your iPhone or iPad, you can also export it to an external drive. A USB connected SSD works best for speedy results. iMazing proceeds with the export. 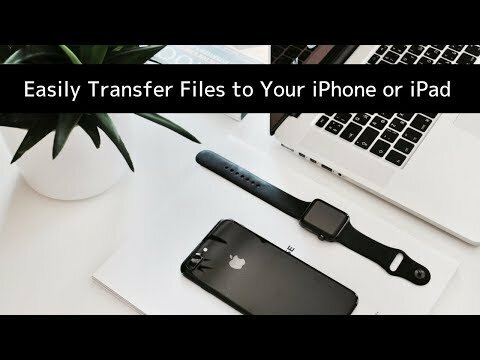 This will take a few minutes, and this may take a while if you have a lot of data on your device, especially photos, videos, and music. Get a cup of coffee or tea while you wait. Tip: not all data can be pulled directly from your device; some needs to be retrieved from a backup. To make sure that the most recent data is exported, iMazing will back up your device before starting the export, even if you already have backed it up. All possible exports in iMazing's Export All Data tool are also possible from the corresponding specialised view in iMazing. The tool is there to facilitate extraction, not to provide new types of exports. iMazing exports all the photos and videos in your camera roll, including originals for any photos that you may have cropped or applied filters to. This export includes recently deleted photos, but does not include photos stored in iCloud Photo Library that are not on your device. Photos are sorted in folders by date and location. This exports all music that is synced to your device, or that you purchased on the device, with the exception of Apple Music downloads, which are protected. Folders are sorted by artist and album. Synced or purchased videos are exported. Videos that you've shot with your iPhone are in the camera roll, and are exported with your photos. Synced and purchased ringtones are exported. Ringtones that are part of iOS are not exported. Ebooks and PDFs stored in the Books app are exported. iMazing does not export items that are stored in the cloud and not downloaded to your device. SMSs, iMessages, and their attachments are exported in CSV and TXT formats, so you can view them in a spreadsheet (CSV) or a text editor (TXT). You can export logs of calls you have made and received in CSV format, so you can view them in a spreadsheet. Voicemail is exported in M4A files (Mac) or MP3 files (Windows). Voicemail is only exported if your carrier supports visual voicemail, and you have activated it. iMazing exports your Safari bookmarks, Reading List, and browsing history, in both CSV and HTML formats. Your contacts are exported in CSV and vCard formats. All calendar events from all calendars are exported in iCal and CSV formats. Notes from the Apple Notes app, for all accounts you use, are exported in TXT files, including recently deleted notes. Voice memos that you have recorded with the Voice Memos app are exported in M4A format. Data for all the apps on your device is exported. This data is what is found in the Library and Documents folders for each of these apps. Unlike the other data types, app data is generally not easy to read, but you can use this export to recover images and documents of some apps.  Tip: It is also possible to export all data from a backup of the device. The process is strictly identical, with slightly less data types available: contents of the Music, Videos and Books apps are not included in iOS backups and therefore will not be exported.